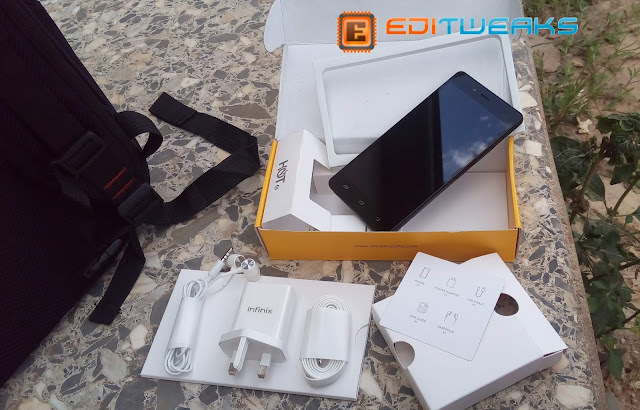 Infinix Hot 4 as we said few weeks back had been launched into the market, around last week we got a review unit to show to you guys, so we all can see what the device is made of. 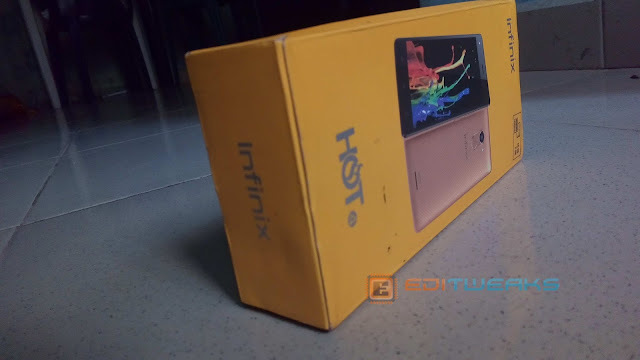 Like we had said in our previous post, we need have to ring a bell that overtime INFINIX HOT series had done remarkable improvements, I can't say much about Hot 3 but Hot 4 is definitely worth it. Before we show you the photos of the device, let's have a quick look at the specifications of the smartphone. The 5.5 inched display device looked pretty neat, although the weight of Hot 4 is NOT so light nor flat, but it was pretty nice to hold. At the top right, there is the 5MP camera, and a tiny red light indicator that I had seen to display only when the battery was low. 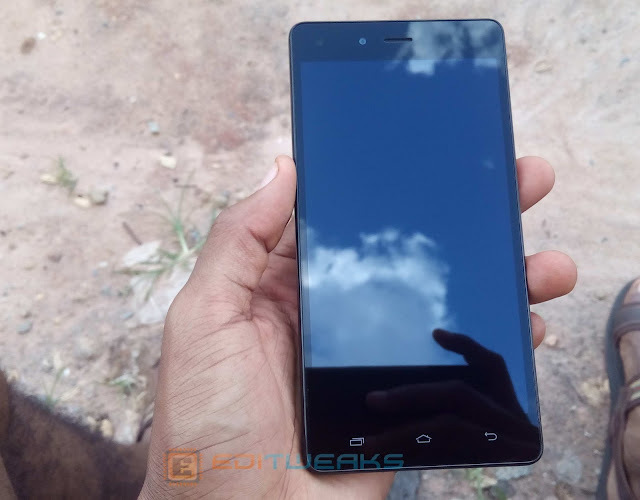 The Infinix HOT 4 is clearly the first in the Hot series to feature a finger print scanner, although that feature had first appeared in the Infinix Hot S. Infinix Hot 4 also features a nice 8MP camera right above the scanner with an LED flash at the left. 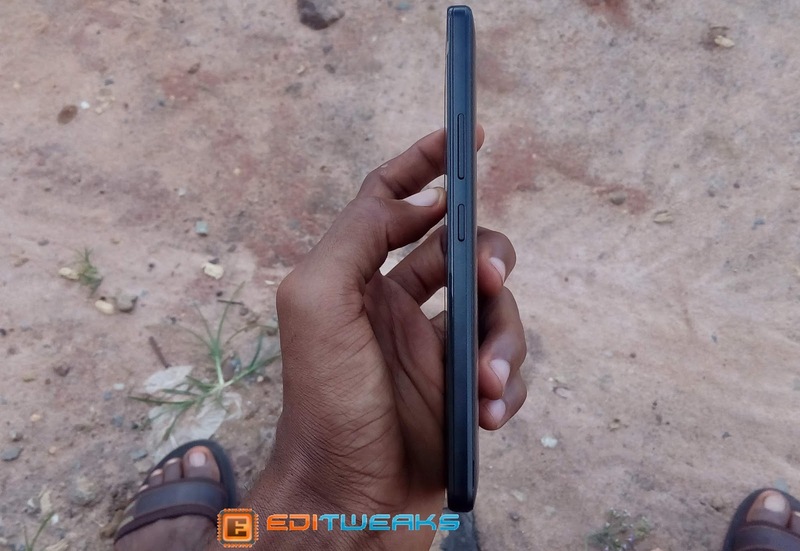 The back of the black colored model feels very strong and tough too, with a design pattern similar to the first Infinix Hot X507 that debuted 2 years ago. 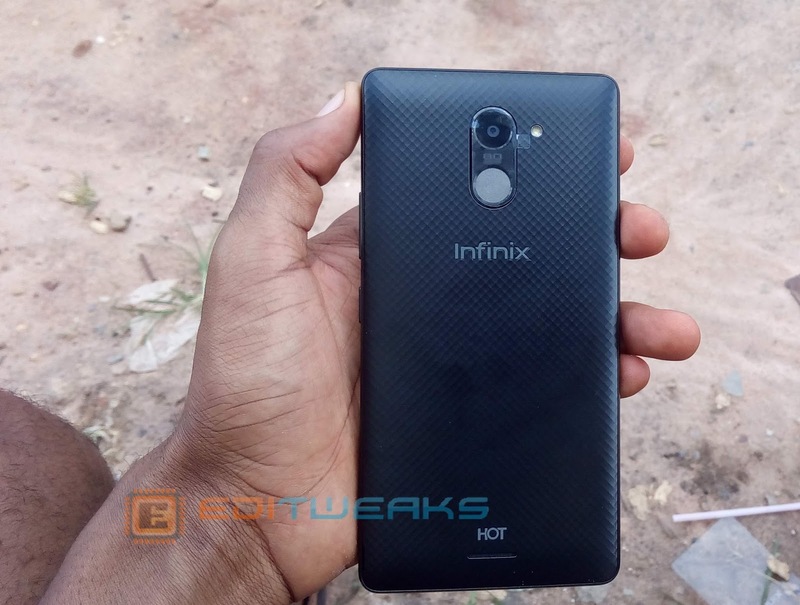 The right side of the Infinix Hot 4 carries functional buttons, the Volume Up + down keys and the power button. No buttons at the left side. At the top, you'll find the ear-piece jack, and underneath, you see the charging/USB transfer port. 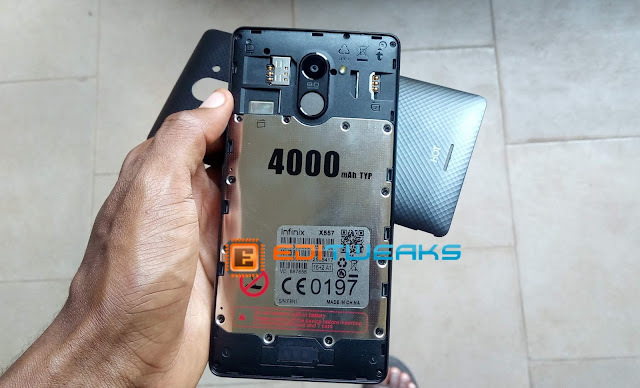 At the back, after removing the cover, you'll see the device's Dual SIM and Memory card slots, the quality sounding speakers found beneath and featured 4000mAH Non-removable battery. The battery had been doing great so far. That's all for now, for those interested in knowing more details about the Hot 4, the device had shown us some really cool things like its 8MP camera abilities (which we are still testing), this is considered as the pros, and of course, it has its cons too, we will come back this week with a full review of the device.